Here in County Antrim, Slemish can be seen from miles around. The mountain changes shape when it is viewed from different sides, but always the distinctive flat top can be seen, from where it is said that St. Patrick sat and minded his sheep. 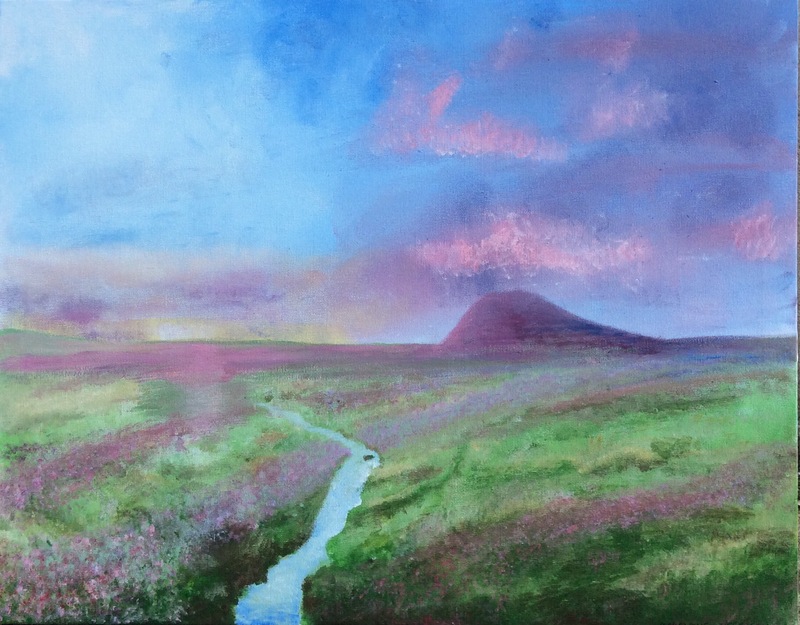 Hi Maddy, really liked your Slemish painting. Keep up the good work! Pauline.